For centuries, the citrus lemon has been used throughout the world for its scent as well as for its cleansing and beautifying properties. Grown and harvested in the United States, lemons are harvested by hand and cured for several days to allow the fruit to fully ripen. When the fruit reaches the perfect ripeness, it becomes juicier and the highest quality essential oil is produced. 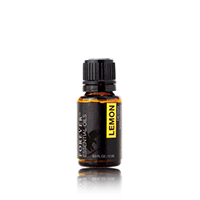 Forever™ Essential Oils Lemon – 100% Pure. 100% Powerful.